Entrepreneur and e-commerce pioneer Mariam Naficy came up with a genius way to bring together two populations: talented graphic designers looking for an outlet for their work, and consumers looking for inspiration and a say in the greeting cards they purchase. 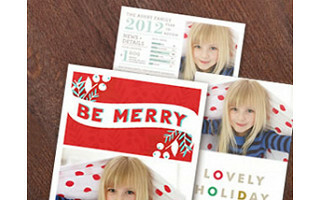 The two groups come together at Minted.com, an online card company that uses a unique crowdsourcing method to unearth fresh, distinctive designs for holiday cards and stationery. Mariam and her team hold design challenges that anyone can enter -- experienced graphic designers and fledgling artists who want to try a new outlet for their creativity. The Minted community votes, and the winning designs are sold on Minted.com. The chosen designers earn cash prizes and a cut of ongoing revenues from sales of their products. Too often some of the most talented designers never find a consumer audience. Minted lets independent designers earn revenue from their work, and consumers get exposed to an enormous range of original designs. Plus, Minted makes it easy to customize cards and stationery, so you can add photos and text to make a design that’s all your own. It’s a fun way to get ready for the holidays and at the same time show our support for indie designers around the globe. 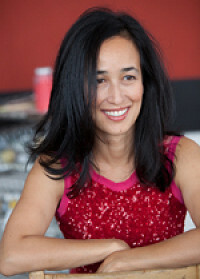 This is Mariam—CEO and Founder of Minted. I’m thrilled to be here today sharing Minted holiday cards and our story. At Minted, we believe that great design lives and thrives in the hands of indie designers that people may not have access to through traditional retailers. Our goal is to use technology to allow consumers like you to discover the work of great designers from all over the world. And at the same time, create a place where designers can get exposure and build their careers. On Minted, you can shop hundreds of unique and modern card designs from talented designers. We are proud to have created this unique platform that allows the best designs to surface based on community voting. We think this is the future of retail. Let me know what questions you have! Hi Mariam, I’m a huge Minted fan. Do you have holiday cards for businesses, too. @Zoe: Thanks! 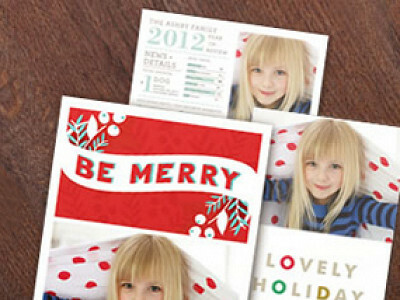 Yes, we offer beautiful new business holiday cards at www.minted.com/business-holiday-cards. We can offer a 20% discount on large corporate orders (orders of $500 or more). Happy shopping! So excited! I needed party invitations and holiday cards to send out from our business. This Daily Grommet was an answered prayer. I have my invites ordered and am waiting for the proof. If all goes well holiday cards will be on order soon! @Stephanie: thank you so much for giving us a try! I hope you love your invitations. Let me know if you have any feedback. Your site is so fun to look at! I'm crazy about all of the different styles in each category of cards. I have just begun creating my own card designs for friends and family and feel like Minted would be a good place to start doing this professionally. Do you have a recommendation for which contest I should begin with? Do the themes always change? Thank you! @Catherine: We encourage all designers to submit designs to our monthly competitions, which are always around a theme. We are currently holding an art competition for art that can be printed as limited edition wall art prints. You can always find the current competition on our site by going to the "Design Challenge" pulldown and visiting the page that says "Submit a Design". Our community provides fantastic feedback and constructive critique that many designers have told us are invaluable to their career development. Winning designers earn cash prizes and a percentage of all sales. I can't wait to see what you come up with! I am with Jules - holiday cards stress me out. This Grommet is perfectly timed, I need to get mine out more timely this year so that I don't have to cross off Merry Christmas and write Happy New Year instead. I love that my purchase will support indie designers. @Erin: thank you for trying us out, and for supporting our designers. We hope you love your cards - let us know if you have feedback. Entrepreneur and e-commerce pioneer Mariam Naficy came up with a genius way to bring together two populations: talented graphic designers looking for an outlet for their work, and consumers looking for inspiration and a say in the greeting cards they purchase. The two groups come together at Minted.com, an online card company that uses a unique crowdsourcing method to unearth fresh, distinctive designs for holiday cards and stationery. Mariam and her team hold design challenges that anyone can enter -- experienced graphic designers and fledgling artists who want to try a new outlet for their creativity. The Minted community votes, and the winning designs are sold on Minted.com. The chosen designers earn cash prizes and a cut of ongoing revenues from sales of their products.